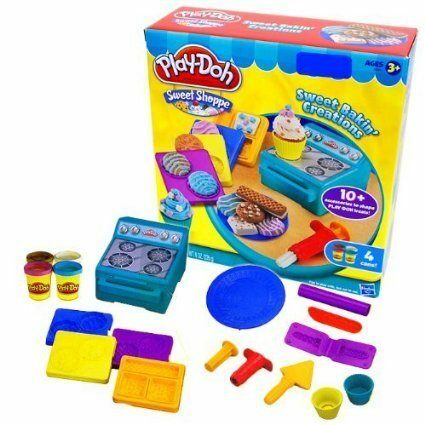 Play-Doh Sweet Bakin Creations Playset Only $17.99 (Reg. $36.99)! You are here: Home / Great Deals / Amazon Deals / Play-Doh Sweet Bakin Creations Playset Only $17.99 (Reg. $36.99)! Who wants a HOT Play-Doh deal?? Grab the Play-Doh Sweet Bakin Creations Playset right now for just $17.99 (reg. $36.99)! Shipping is FREE with Amazon Prime or Super Saver Shipping! I couldn’t find this at Walmart or Target, but this set is selling right now for $42.99 at Sears, so this is a fantastic price!